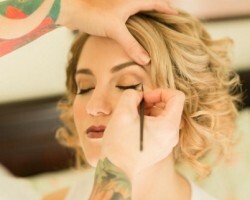 Liz Alfier, the owner and founder of Behind The Veil, saw that the majority of Virginia Beach makeup artists did not provide a stress-free environment for the brides of the city. This artist has an impressive history of past clients and now has devoted her efforts to making brides feel stunning on the most important day of their lives. Put your wedding hair and makeup in the hands of a true professional and you can then guarantee all of your natural beauty will shine through. Your wedding look is so important that you really cannot risk it disappearing halfway through the day or during the reception. Skin Oasis is a beauty clinic and esthetic boutique that has made it possible for Virginia brides to look their best for longer than they ever thought possible. While they do offer permanent makeup services, this salon does so much more and the experts will help guide you through all of your options and their range of competitive prices. 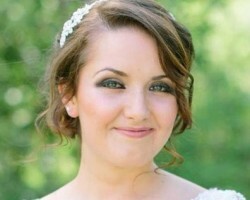 While your bridal makeup certainly needs to be affordable, you should never settle for a second-rate makeup artist. At Wink Salon you will have access to one of the best collection of makeup artists and stylists in the industry. Each one has a very unique style that you will fall in love with. They offer all of the services that you could ever need and aim to be as flexible as possible. With clear pricing systems you will also be able to budget for their work easily. From her stunning portfolio to the reviews packed full of praise for her work, there are numerous reasons that Kristal Lane should be your only choice of makeup artist in Virginia Beach, VA. Kristal’s work can be seen on television, in magazines and displayed on billboards throughout the country and now this level of quality can be yours to have on your wedding day. She focuses on enhancing your natural beauty, achieving the exact look that you have always wanted and ensuring it stays flawless for the entire day and night. The founder of The Makeup Studio & Beauty Lounge, Kim Porter, brought all her experience together and created one of the best options for brides throughout Virginia Beach. This expert has made it so it is no longer necessary to be a celebrity to get the star treatment. Putting your bridal makeup in the hands of Kim means that when it comes to the big day you can sit back, relax and have all of your natural beauty enhanced by long-lasting makeup effects.